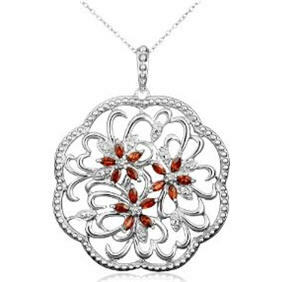 This gorgeous floral medallion is made from platinum-plated sterling silver and accented with brilliant red-orange marquise garnet petals. Generously sized, it has an intricate openwork design, with a subtle diamond accent and a beaded border for added texture and shine. 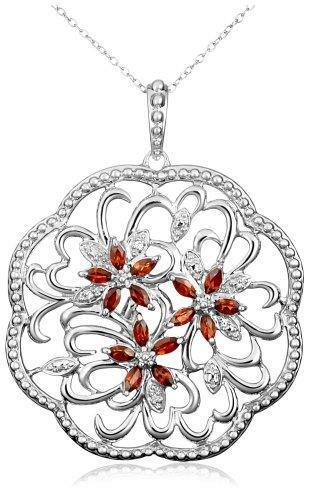 The pendant is showcased on an 18-inch sterling silver cable chain that's finished with a spring ring clasp.